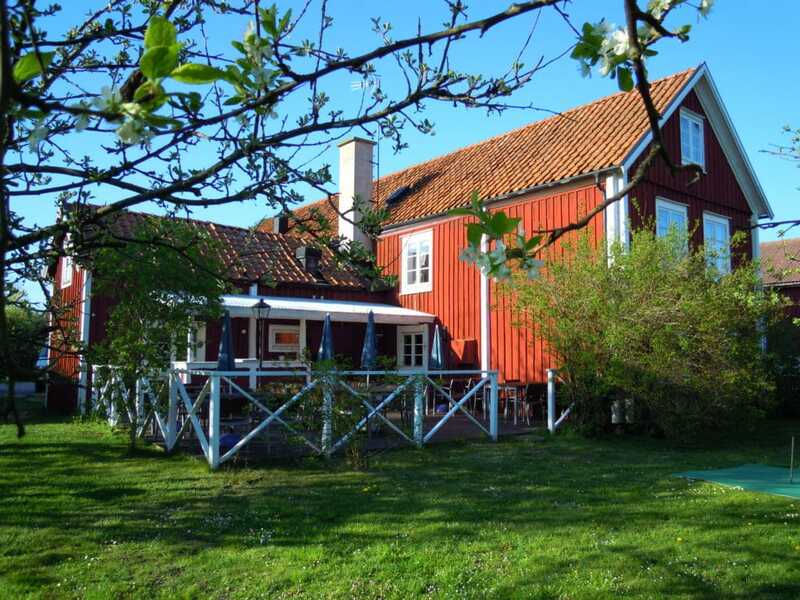 The inn is one of the oldest buildings in Kristianopel and built back in 1714 as a residence. The house is 300 years old and it gives it a special atmosphere and charm. Here come those days travel and rested horses stole wing, while they themselves took a good meal and rested for a night. Today the inn above all a valued restaurant with homemade food. One ambition is to use locally produced food. Wines and beers are well-proven. The height of pleasure is to sit in the garden under the apple trees when they bloom and enjoy the best dinner with a glass of rosé. If you want to stay a bit longer when you’re in Kristianopel and enjoy everything we have to offer? Then you are welcome to book with us. Our four rooms are located in our annex, right on our yard. The standard of the rooms is simple and geniun, with bright colors. Welcome to us at “Gästis”!